Anime series don’t have a camera in the traditional sense, which means that they can get away with shots that would be impossible, or at least require extraordinary effort, in live-action filmmaking. The Promised Neverland cleverly stays grounded, choosing shots that would be possible for a film camera. 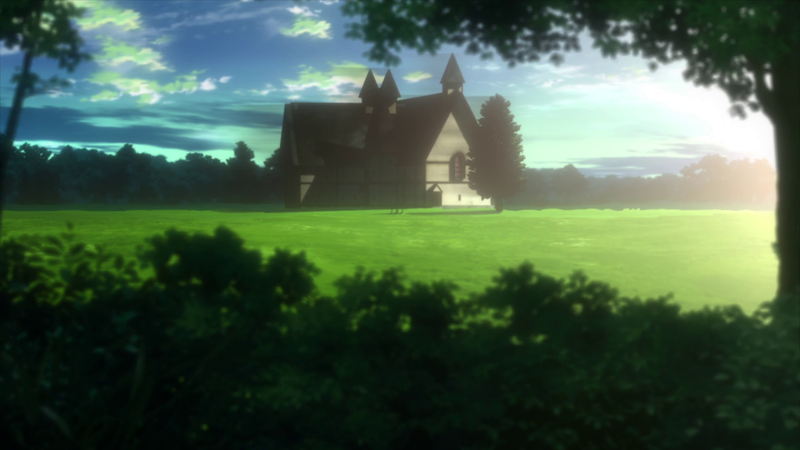 Reminiscent of other suspenseful action-adventure series like Made In Abyss, The Promised Neverland makes full use of this grounded camera, framing, and lighting to play with our expectations as viewers while heightening the tension, fear, and distrust expressed by the series’ three leads in Emma, Norman, and Ray. 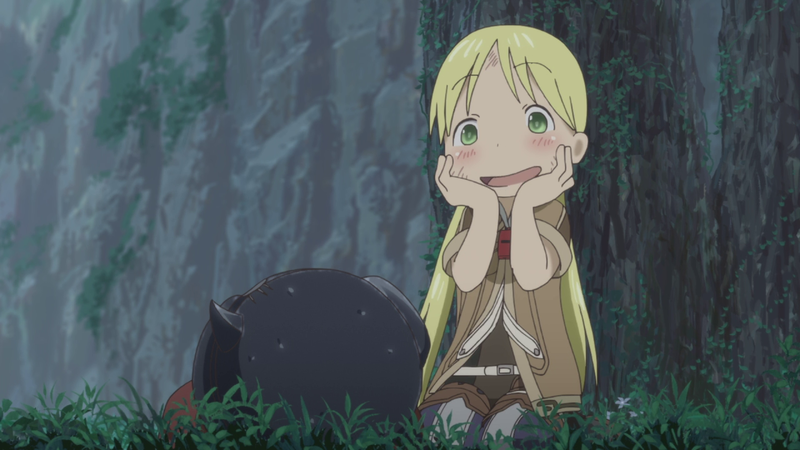 From the moment that Made in Abyss introduces Riko, it shows her as a headstrong, ebullient, and curious young girl. Her initial conversation with fellow red whistle, Nat, establishes their dynamic — Riko, the curious one who hordes valuable relics and thinks too far ahead of where she’s at, Nat, the one who cares about her but hides it under a layer of bluster. The problem Riko runs into while excavating isn’t that she’s incapable of finding things but that she finds so many relics, it’s difficult for her to carry them all in her backpack. She acts instantly when Nat is in trouble, getting herself in trouble in the process. No sooner has she been rescued by a strange light than Riko stumbles upon a prone body. When she prepares to resuscitate him, Riko discovers that not only is he not breathing, he’s also not human. Rather than reacting surprised, scared, or shocked, she’s enchanted. Riko immediately begins poking and prodding him, taking in a more detailed snapshot of his appearance, once she realizes that he’s not dead. Then, naturally, she hauls him behind her as well, another relic for her collection. Kevin Penkin’s score swells as Riko and Reg’s message balloon breaks through the clouds of the first layer. The balloon is battered, broken, has been mended once, and yet somehow managed to survive the four-layer journey that Riko cannot. It reaches the surface because Riko cannot. Landing conveniently in the exact same location where Riko discovered Reg, Nat and Shiggy easily find it. They carry it back through the town of Orth as the sun sets, and the petals of eternal fortune flowers line their path home. 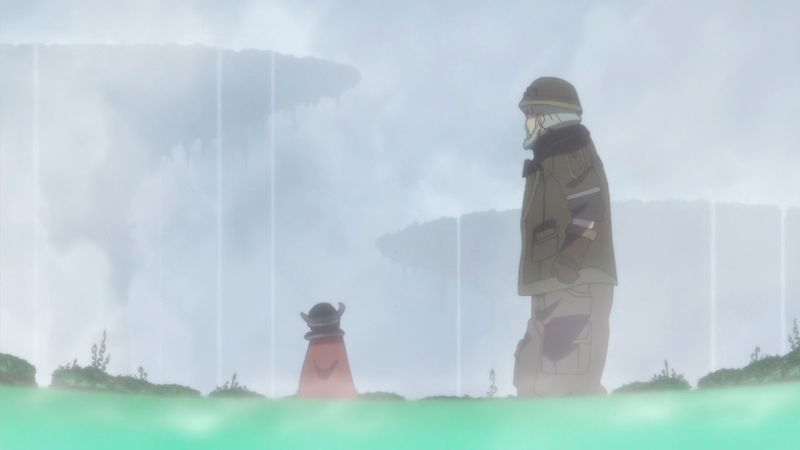 Through this scene, Made in Abyss visually bookends its first anime season. 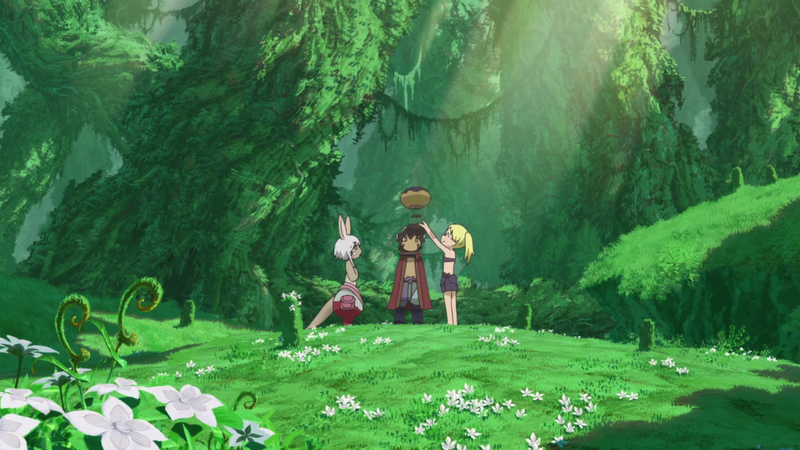 The petals, present during Lyza the Annihilator’s Resurrection Day in the second episode, now welcome Lyza’s daughter home in a similar fashion. Shiggy and Nat discover Riko’s message where she found Reg, effectively recalling a time when she was physically present in their lives. 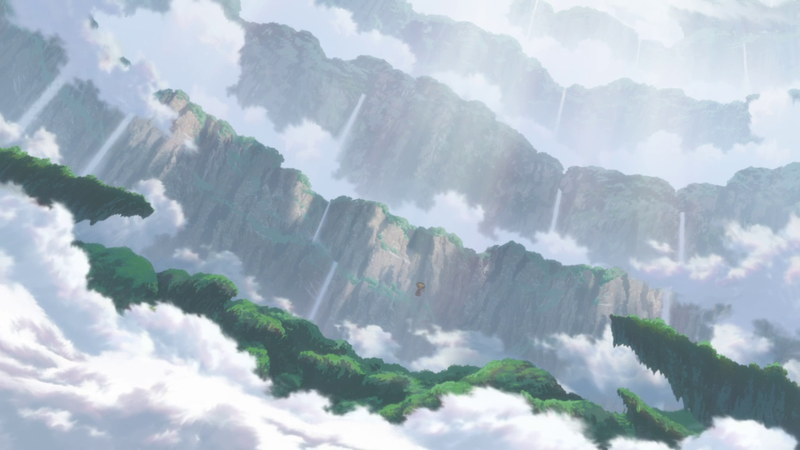 Made in Abyss is a series that weaves a tapestry with myriad threads, knowing precisely when to return to a specific visual frame or memory. When we first meet her, Riko is bored. Cave raiding still excites her, but she’s already looking into her own future to a time when she won’t be stuck on the first layer, combing through graves that have already been dug up by countless red whistle trainees for run-of-the-mill artifacts. Initially presented as part of a larger vertical society where the delvers give back to the community in the form of artifacts or new Abyss discoveries, cave raiding first appears to be a societal contribution first. Yet, from the moment she appears in the series’ first episode, Riko’s desire is far more selfish. She admits to hoarding the Star Compass because its value as an artifact that guides its user towards the truth of the Abyss is more important to her personal goals. She is rarely in the present, talking instead of a far-off time when she’s a white whistle like her mother, Lyza. Riko looks into the Abyss and sees her mother. Riko looks into the Abyss and sees endless opportunity and possibility. Riko looks into the Abyss and sees her own insatiable curiosity, the inevitable pull that every human has towards something.